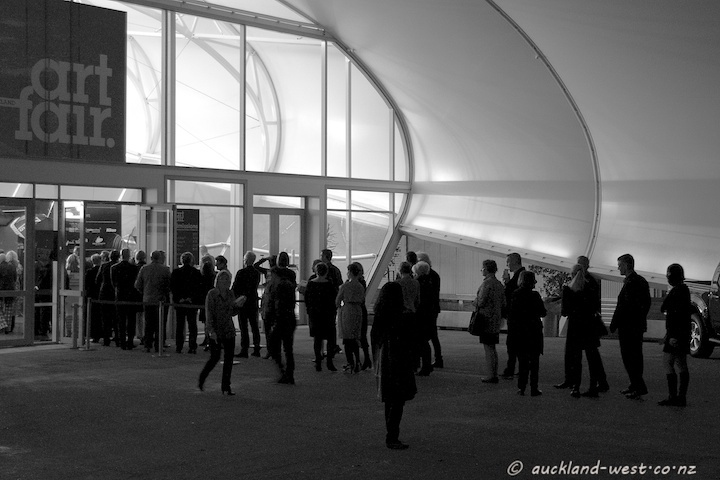 I visited the Auckland Art Fair at the Cloud, Queens Wharf, yesterday, Friday. An interesting event, offering something for every taste. The opening (Vernissage) last Wednesday night looked quite a lavish affair, well attended with queues stretching out for a while.